Almost all Saltwater and many Freshwater hobbyists have installed an RO or RO/DI system in their setup. They do a wonderful job giving us ultra clean water. The messing look with all the tubing, on the other hand, is another story. Here is a simple way to make things look nice, tidy and professional. Mur-Lock 1/4” Tubing Clips. 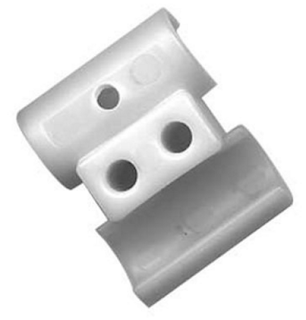 These simple little clips can mount 1 or 2 lines of RO tubing. They come in a 10 pack, which includes 10 clips and 20 screws so you can easily tack your tubing down the wall, down the cabinet etc and create a much cleaner and safer setup.